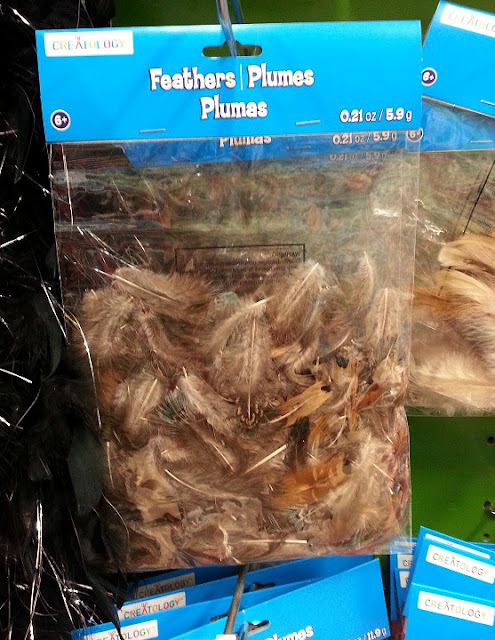 I found the mottled gray-brown feathers at AC Moore in the fall, as part of their seasonal display, for $3. Their pattern and color were so interesting that I thought they needed to be highlighted in floating frames, which I picked up at Michael's this week for $7 each. 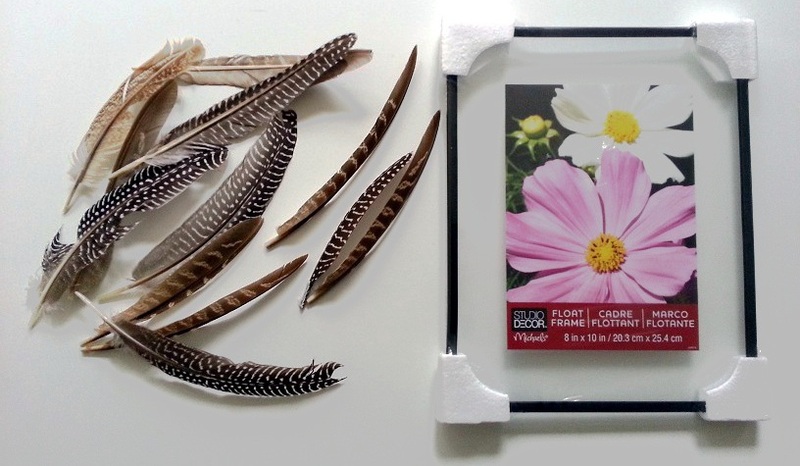 While shopping for frames at Michael's, I spotted these bagged feathers (below) for $3, and they could be used to recreate this project. Note: the natural feathers I used were clearly marked as having been cleaned thoroughly before packaging. That put my mind at ease because birds can carry nasty diseases. I opted to spray paint the black floating frames off-white so the feathers could be focus of attention. 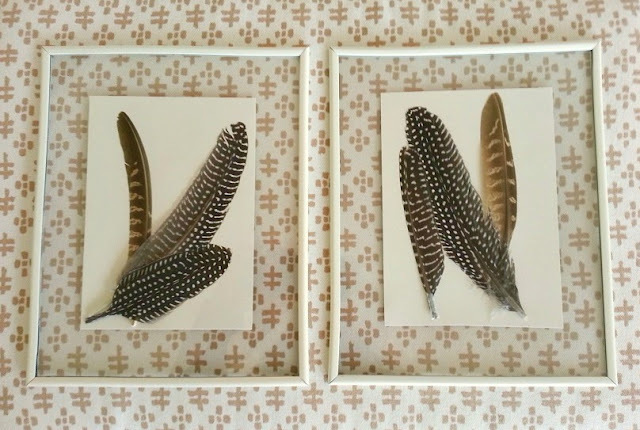 I used off-white card stock to float in the frame to serve as a backdrop for the feathers. Double-sided tape secured the card stock to the plexiglass backing of the frame and, then, I picked my favorite feathers to place on the cardstock. No glue or tape necessary! 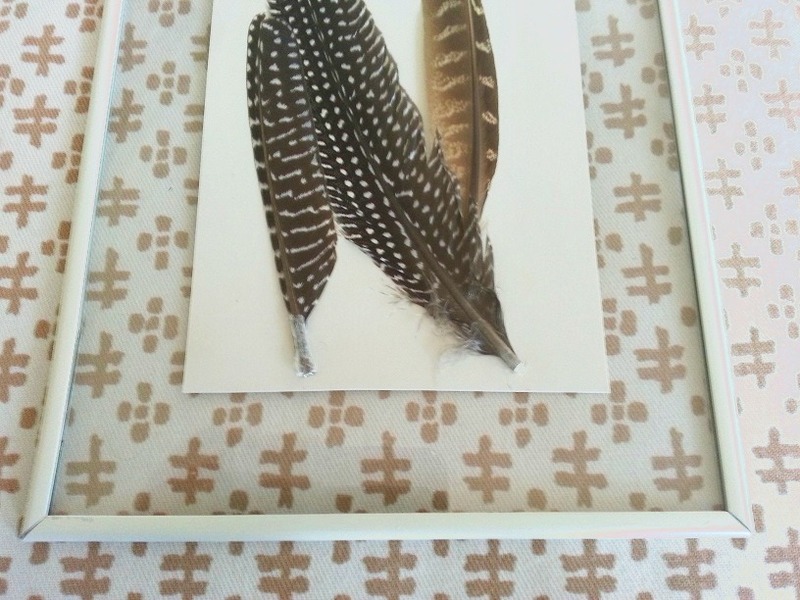 The feathers were held tightly in place by the frame itself. My new artwork--so simple and inexpensive--now brings a touch of nature to the living walls. Love it and pinning it. So pretty I love how they look like they're floating! So sculptural. I love them! They're beautiful! Love that you're celebrating something we see every day , but don't really notice!